Whether you are looking to advance your scientific knowledge or just needing an excuse to go the pub on a school night, these fun and stimulating sessions run by leading academics from the University of Exeter will entertain and inspire you. 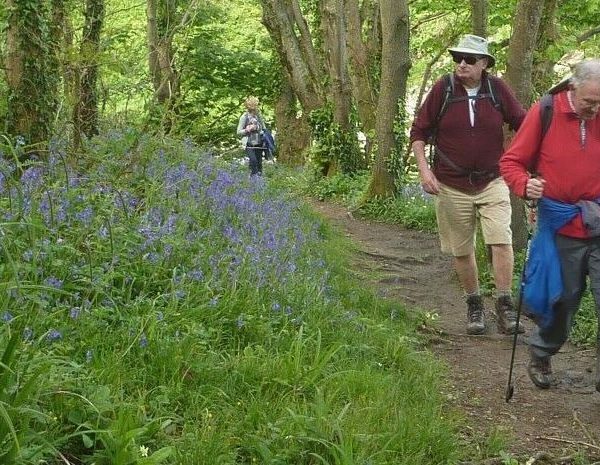 This is another exciting event for the 2019 Spring Festival, funded and organised by the Falmouth BID. The shrinking Antarctic ice sheet! Why is this happening and what are the impacts? ICEBERGS is an ongoing project researching the impacts of rapid deglaciation along the west Antarctic Peninsula. Join us on a journey where we find out why what’s happening in Antarctica is important to all of us, using stunning photographs and video from the research cruises in 2017 and 2018.
versa) through musical stand-up comedy. Animals see in many weird and wonderful ways. Some can see dimensions of colour that our brains simply can’t imagine, some sense polarised light to see further through murky water, others can ‘see’ the Earth’s magnetic field and use it as a compass. We will explore some fascinating aspects of animal vision and expose the undercover world of camouflage. You think you know plastic?! Plastic Free Falmouth join the University of Exeter for a “Rethink Plastic” pub quiz night as part of Science in the Pub. Join us for a fun night to celebrate all that is good about the materials we are so lucky to use in our everyday lives. Let’s value our resources and ecosystems and think out-of-the-box for how we can break free from single-use plastic dominating our lives. But, what happens next? Biologging is the field of tracking individual animal’s movements by means of attaching physical tags. With a rapidly increasing global population, more and more people are dependent on the marine environment and there is a growing need to understand the movements of marine animals in space and time. Join us for this interactive talk and find out what happens next to the tuna, turtle, shark and gannet! We are delighted to be supporting our local community through sponsorship of the Falmouth Spring Festival for the third year. 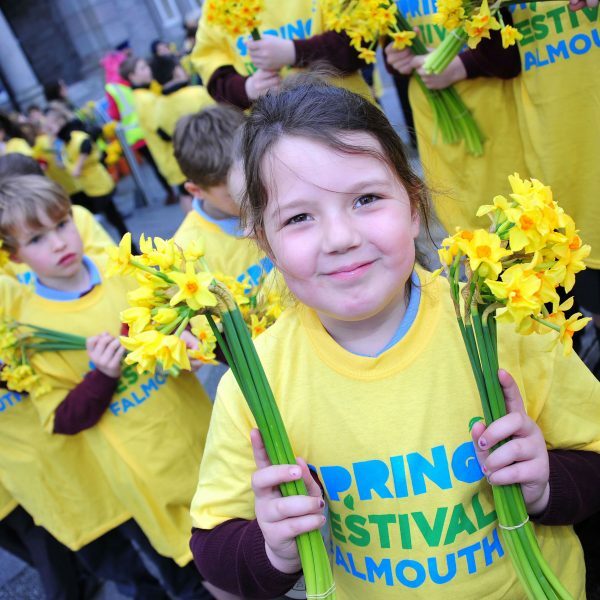 As profiled on the BBC, the Falmouth Spring Festival is a wonderful early season celebration of coast, community and culture. 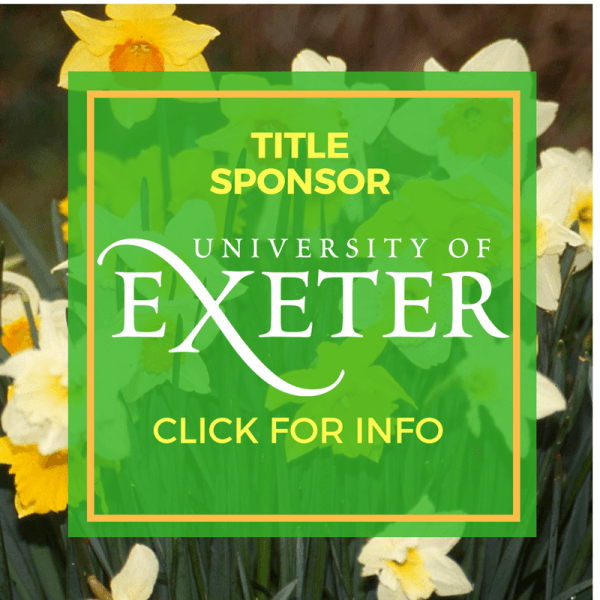 Sponsored by the University of Exeter.